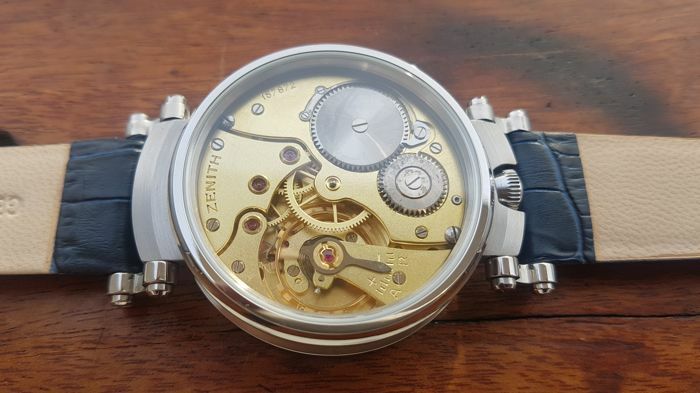 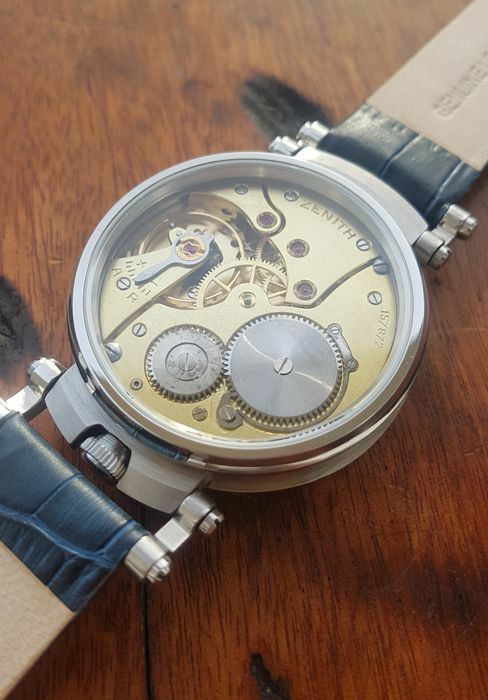 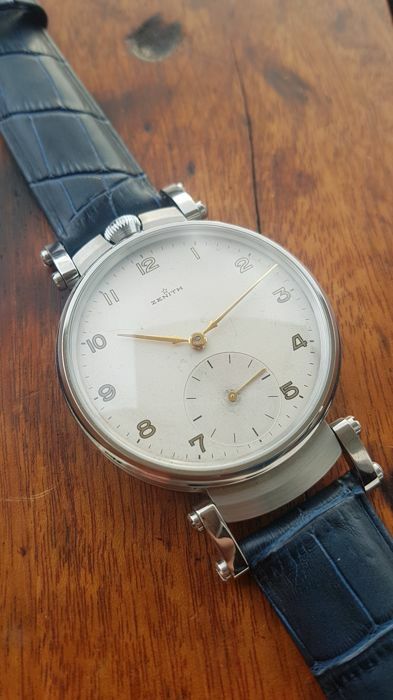 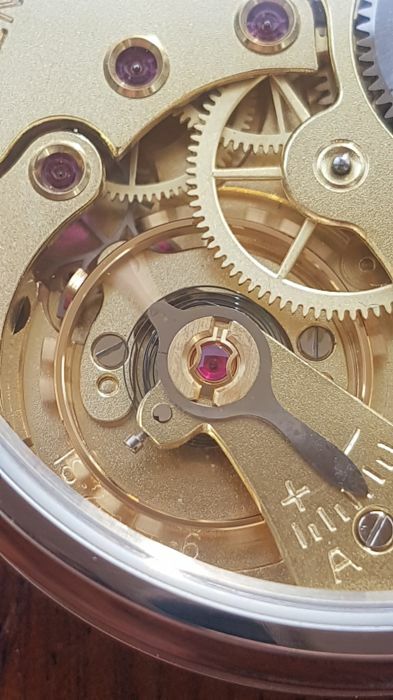 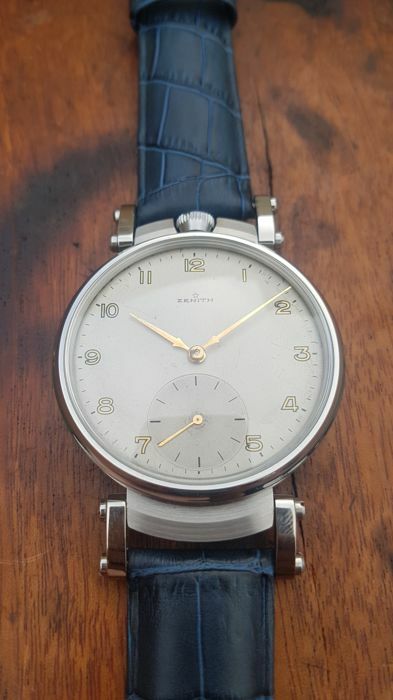 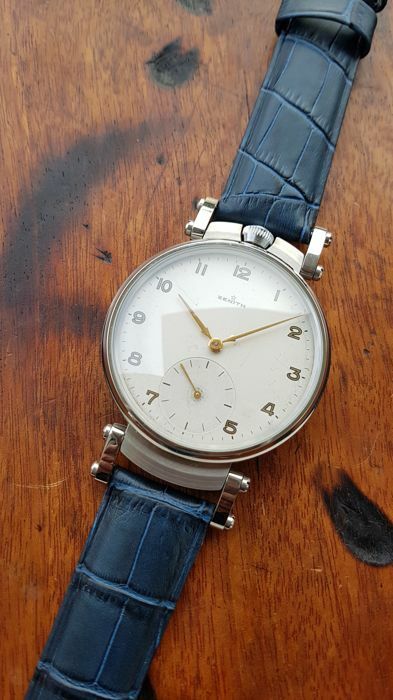 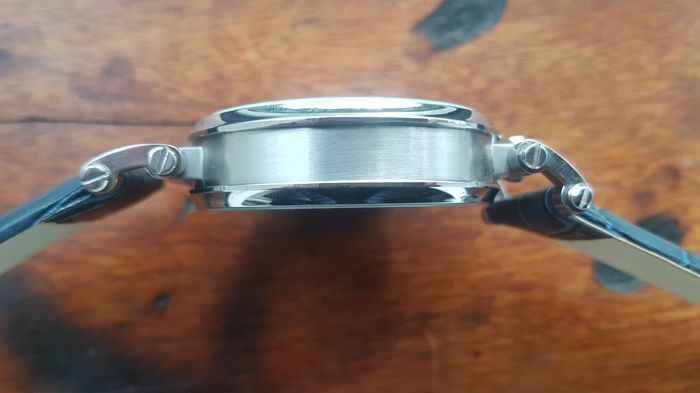 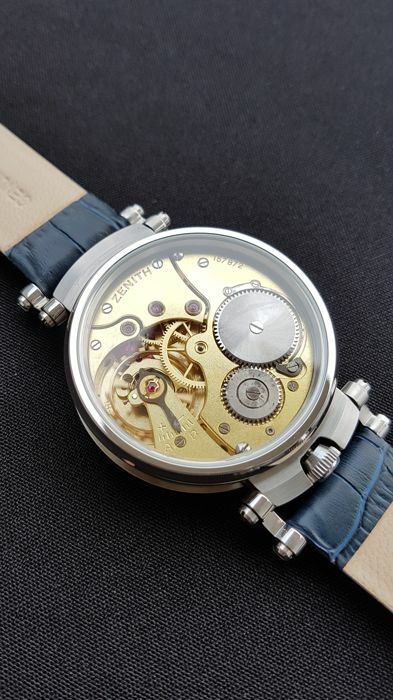 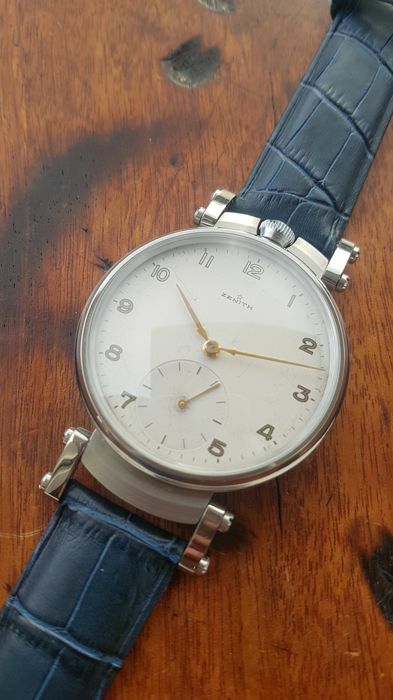 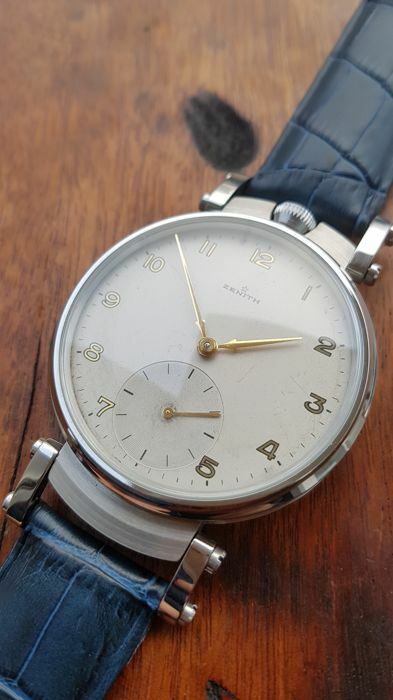 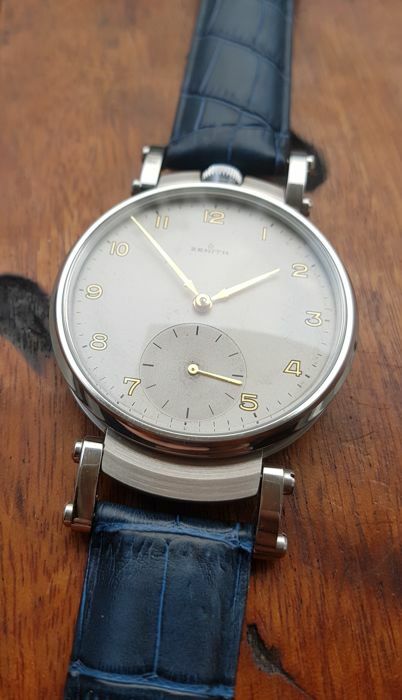 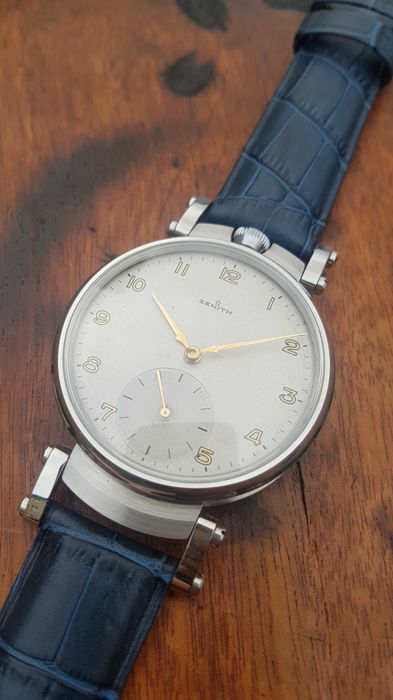 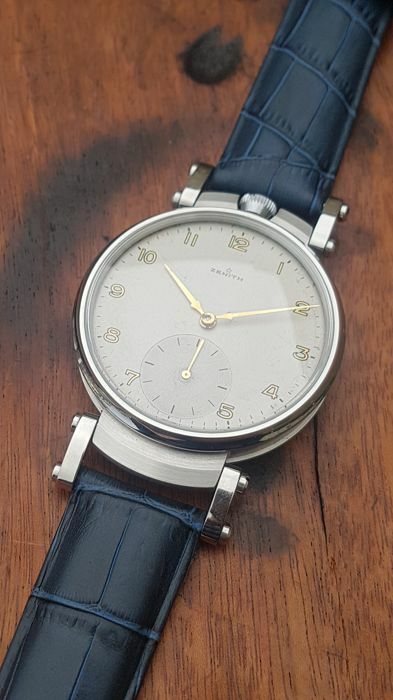 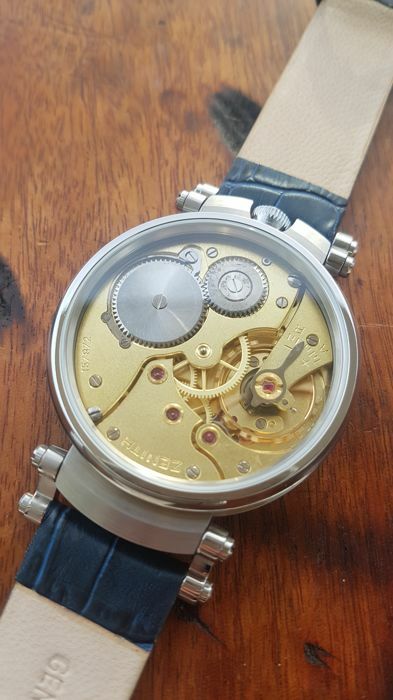 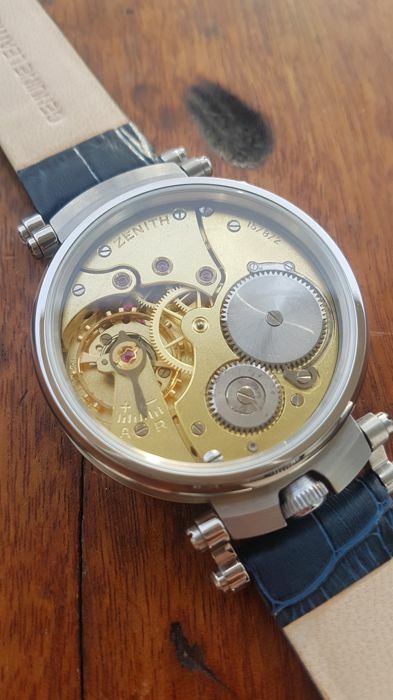 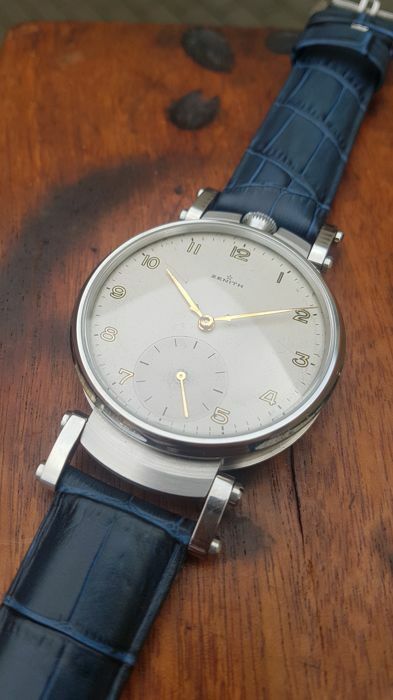 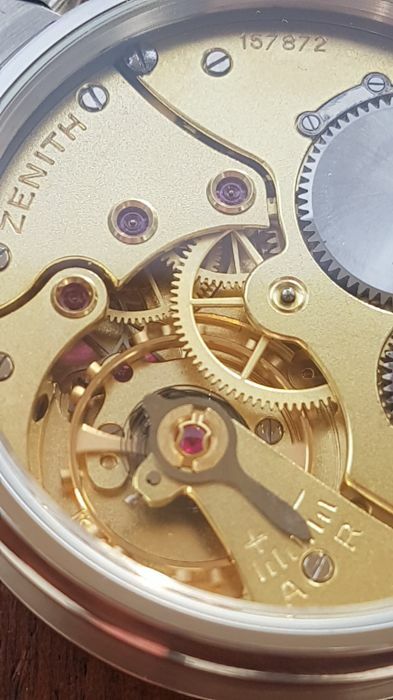 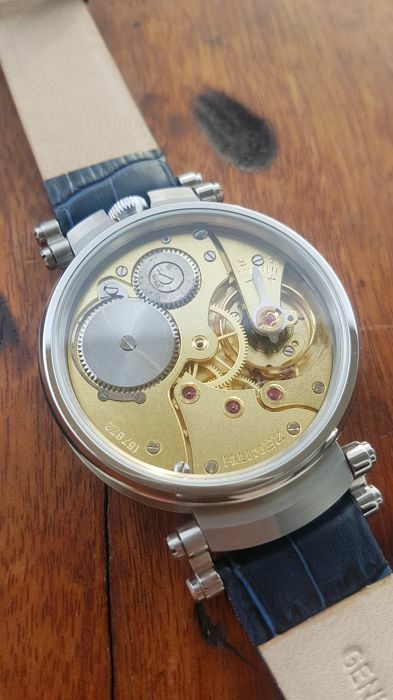 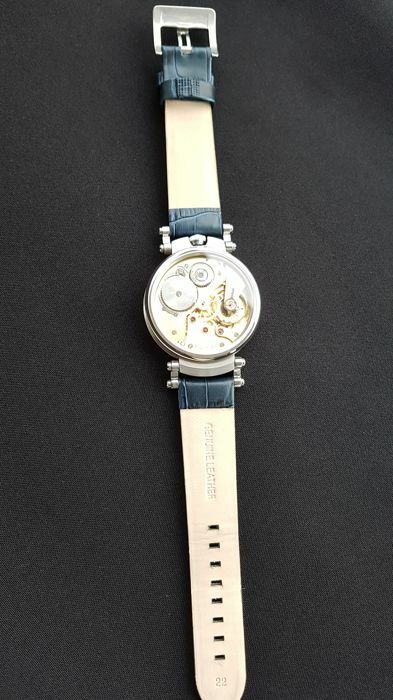 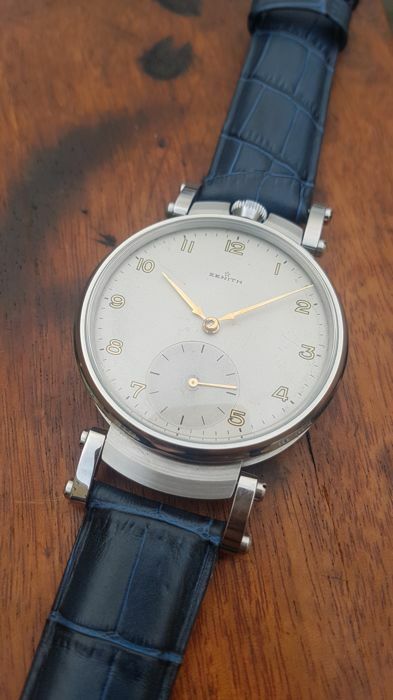 Here is for auction beautiful and Zenith marriage watch in big and massive stainless steel case, with original dial and beautiful high grade movement from ca.1914. 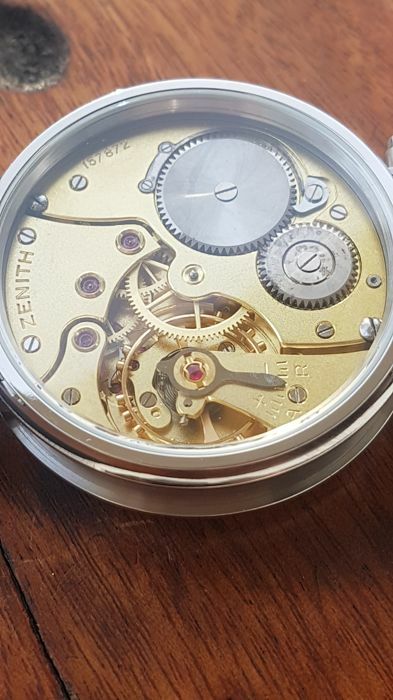 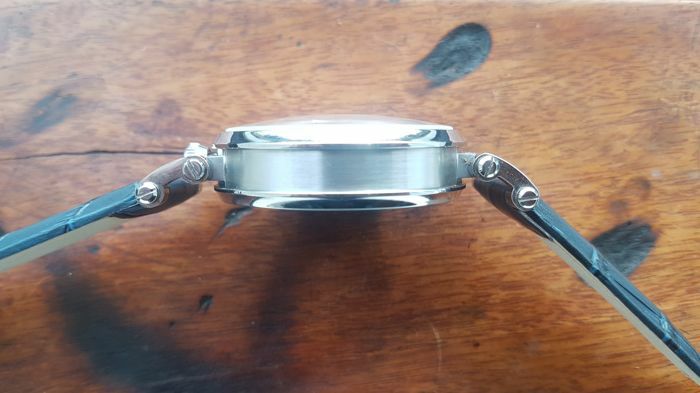 Case with glass transparent case back is special-custom made for this watch, condition is brand new and watch was never been worn. 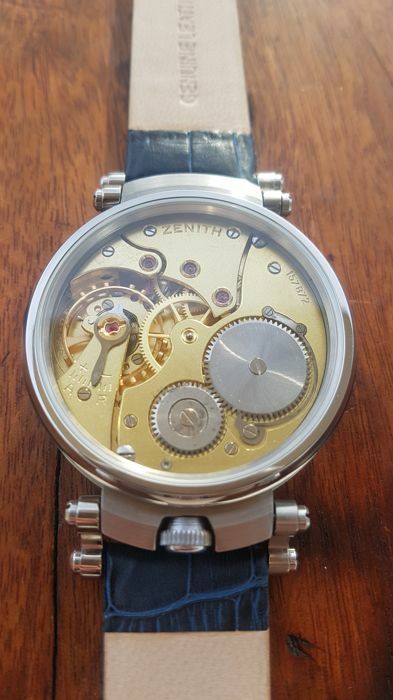 With diameter of 46mm the watch looks excellent on a wrist. 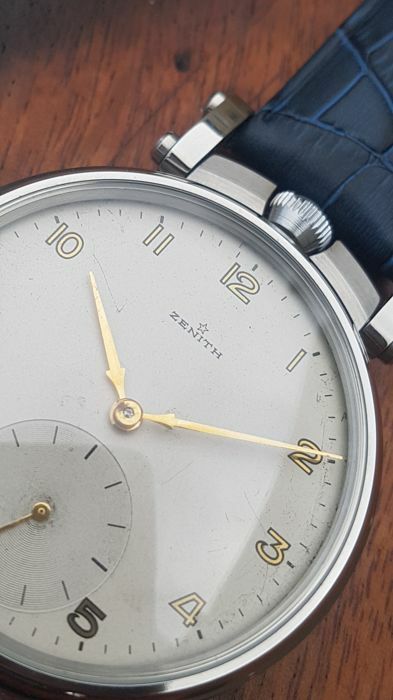 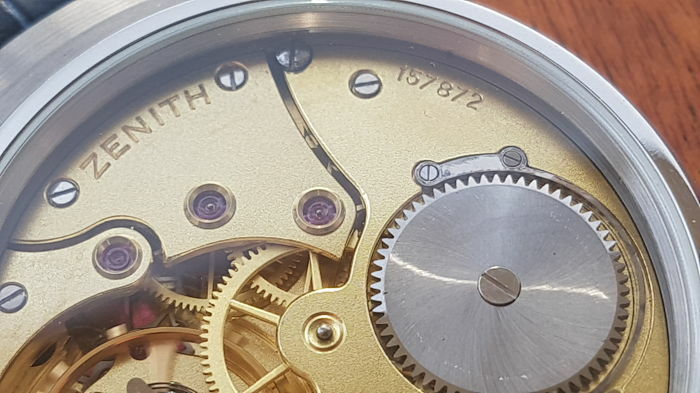 Original dial with full golden arabic numerals is in original good condition, shows natural patine, signed with "Zenith". 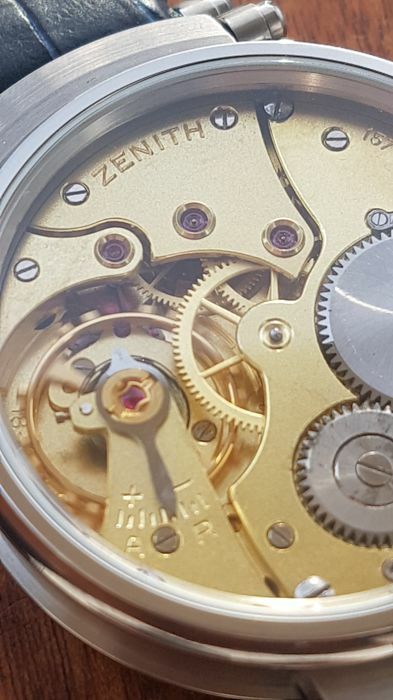 Original golden hands are in excellent condition and looking great, crown is original and in excellent shape. 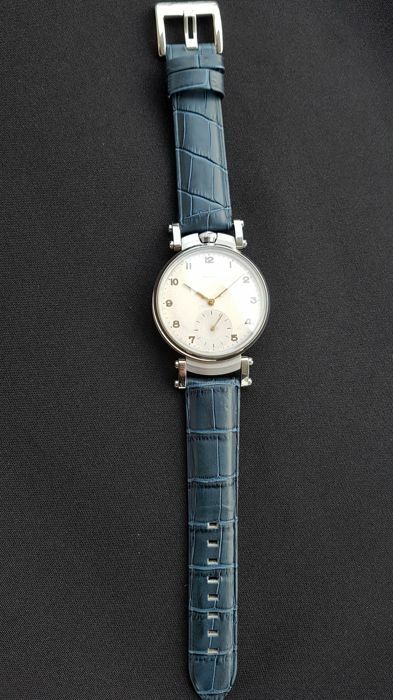 Watch comes with new blue strap of total length circa 19cm-fits bigger wrist.